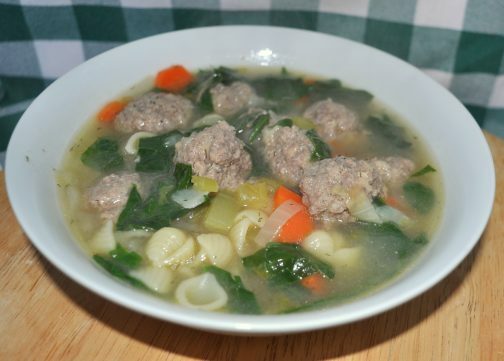 I know you are all busy making your Thanksgiving grocery list, and checking it twice; be SURE you have the ingredients for this soup on the list. You have to make this with your turkey carcass, have to, have to, have to! This is the best turkey soup I have ever tasted. I made no changes to the recipe I found in “The 150 Best American Recipes” cookbook. Mmmmm… Homey, rustic, northwoods-y…, which, with a little imagination, might just transport you to a log cabin in the snow, fire blazing, a quilt over your feet, and a good book on your knee. The soup has wild rice, mushrooms and turmeric, yes, turmeric, which compliment the strong flavor of turkey to make a soup that, according to “The 150 Best American Recipes” is “neither exotic nor bland”. It’s my favorite after-Thanksgiving treat. I can’t imagine making any other turkey soup. It’s just the thing for an-after-Thanksgiving restoration, before the Christmas craziness commences. BTW, I like this soup so much I can’t just make it once a year. When it’s not Thanksgiving, I start with a whole chicken which I boil or roast. I remove 4 cups of the meat from the chicken, and then proceed as below. Bring 3 ½ quarts of stock to a boil. Stir in rinsed wild rice and simmer for 20 minutes. Meanwhile, melt butter in a large skillet; add celery, carrots, onion, and green onions and saute for 5 minutes. Stir in dill, bay leaves and turmeric. Turn off heat, and set aside. Add white rice and sauteed veggies to the stock and simmer for 20 minutes. Stir sliced mushrooms and diced turkey into hot soup. Simmer for an additional 10 minutes, or until mushrooms are cooked. Add more broth if the soup gets too thick for your taste (I added the extra 4 cups). Season to taste with salt (I used 2 tsp. Kosher salt) and pepper. This makes a lot of soup. The recipe says the soup freezes well for several months. If you do reheat the soup, it will have thickened and you will need to add more broth or water when reheating. You’re going to love this, I just know it! Thanks for stopping by my kitchen today.